Everyone’s talking about the fraud charges, but let’s discuss the toxic workplace culture that helped lead to the downfall of Theranos. 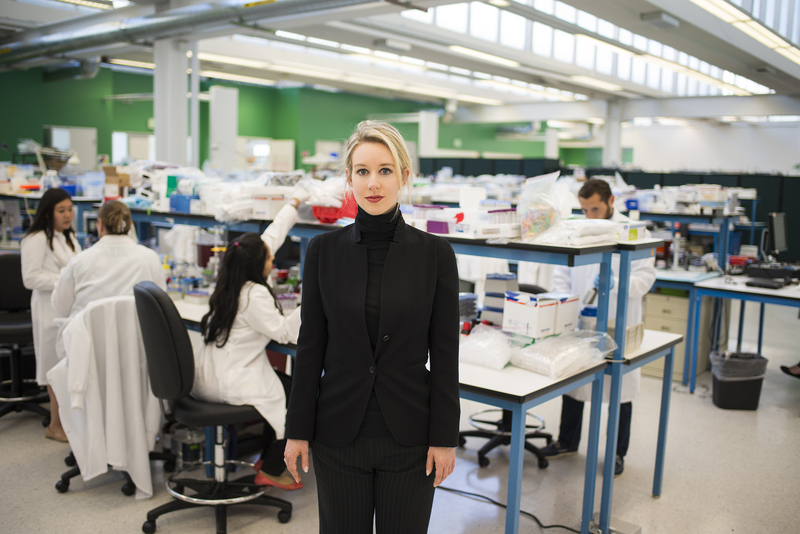 The conversations around The Inventor: Out for Blood in Silicon Valley, HBO’s engrossing new documentary on the rise and fall of Elizabeth Holmes, founder and CEO of now-defunct blood-testing company Theranos, mainly revolve around her odd affect — her baritone voice, unblinking eyes, black-only wardrobe — and whether or not she’s a sociopath. But the story of the toxic workplace culture she created is a cautionary tale we can all learn from. Most of us aren’t going to commit serious fraud to get our careers or companies off the ground, yet the proliferation of “hustle culture” can lead us to make some of the same mistakes Holmes did. Namely, fostering overwork and burnout, sleeping so little that your mental sharpness is compromised, and discouraging employees from surfacing concerns. Holmes, now awaiting trial on fraud charges, famously dropped out of Stanford at age 19 to found her company, believing against the laws of physics (as one scientist puts it in the film) that she could engineer a small machine that could run hundreds of tests from a finger prick of blood, as opposed to vials of blood taken from a vein. Her single-minded devotion to her vision duped the rich and influential (presidents, professors, CEOs, venture capitalists) to create a corporation once valued at nearly $10 billion. Now it is worth less than nothing. Holmes revealed to Fortune that she worked seven days a week, 16 hours a day and slept only four hours a night, hardly ever leaving the office. In the documentary, the New Yorker’s Ken Auletta, who wrote a lengthy profile of the inventor during her ascent, reveals that she once told him she was “married to Theranos,” when asked about her relationship status. On top of her wildly out of whack work ethic, the vision she sought to bring to fruition simply wasn’t within the limits of reality. Chasing the impossible — and directing her 800 employees to do the same — led to a severely toxic work environment. According to a report in Wired, Theranos’s former president and COO Ramesh “Sunny” Balwani (and Holmes’s rumored boyfriend) expected employees to be available 24/7 and monitored their comings and goings on security logs everyday. Maslach’s research shows that overwhelming demands on an employee’s time increases stress levels and leads to exhaustion. “Sunny and Elizabeth, they didn’t care that we figured out what’s not working, or make sure that we can actually solve these problems in a real way,” a former employee said in the documentary. Another complained that the pair didn’t want “real experiments” or “documentation,” anything that would undermine their vision. If an employee challenged them, they’d be totally marginalized, if not fired, within the company. This is the opposite of compassionate directness, one of Thrive Global’s core company values, which encourages employees to surface concerns rather than stifle them. Theranos operated in multiple layers of secrecy and monitorization, which fostered feelings of unease and distrust. Erika Cheung, a lab associate, recalled sending an email to a few colleagues, but got a response from the COO, whom she’d not cc’d. “That’s when I realized I was being watched internally,” she said in the film. “We weren’t supposed to talk about anything that went on inside of Theranos,” including with family, another Theranos alum said. The extreme secrecy and constant surveillance made employees paranoid about one another, Cheung revealed in the film. People started forgoing simple courtesies like saying hi and it became increasingly difficult to communicate, even important matters, because of the departments were purposely siloed to prevent communications that could reveal the profoundly faulty mission. When the execution of a company’s mission fails to fall within an employee’s moral framework, the employee becomes more vulnerable to burnout, Maslach says. In the documentary, several members of the Theranos team experienced a jarring disconnect between the purported goals of the company — to revolutionize diagnostic blood testing and help people identify medical concerns before they become a problem — and the company’s egregious lack of regard for science and ethics. As a leader, if you make your team stand up for a mission you know is a sham, you’re setting yourself up for a negative fallout. In the end, Elizabeth Holmes’s story is not simply about one company’s fraud; it’s representative of the toxic ethos of “hustle culture,” which expects a fanatical devotion to work and a “move fast and break things” attitude toward achieving goals, at the expense of our well-being. That culture needs to be radically rethought.